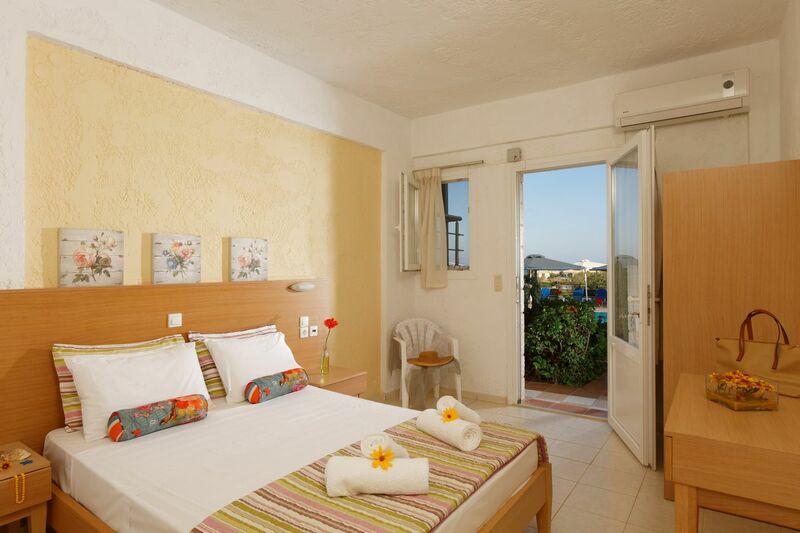 Cretan Garden Hotel is a small (48 rooms), quiet family run hotel located in Anissaras, approx. 3 km. from Hersonissos resort and 25 km. from Heraklion Airport. Economy/Standard rooms most with sea view include refrigerator, SAT TV, hairdryer, air-condition (extra-charge).